Ullà is located in the Baix Empordà, a few kilometers from the best beaches and coves of the Costa Brava. It really is a privileged environment at the foot of the Montgrí Massif and close to the Nature Reserves of Medes Islands. There are a lot of towns and villages to visit as Pals, Peratallada, Monells… and plenty of activities to do. The beaches and coves of the Costa Brava are extraordinary. We can find large sand beaches and small and hidden coves, lively or very quiet. There are beaches for everyone. The contrast of the blue sea and the green of the pines of the Costa Brava is hard to describe, you have to live it. 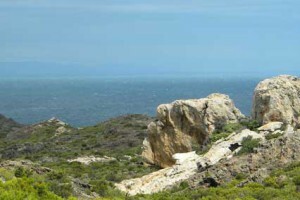 The beaches of the Baix Empordà closest Can Pericot are L’Estartit (7km approx. 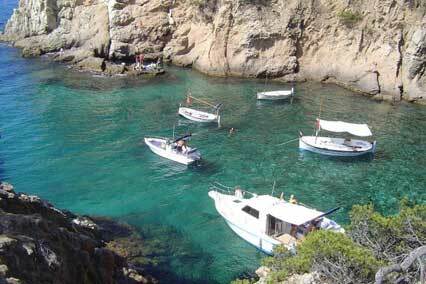 ), although for some plus kilometer, it’s worth visiting the beaches of Pals, Begur coves, those of Calella, Tamariu and Llafranc, Castell beach in Palamos, and many others. The beaches of The Alt Emporda closest to Can Pericot are L’Escala (10km approx.) and Sant Martí d’Empúries. Do not miss the beaches and coves of Sant Pere Pescador, ideal for water sports that need wind, Empuriabrava, Roses, or a little further up, the Cap de Creus, Cadaqués coves, El Port de la Selva, Llançà or Portbou. 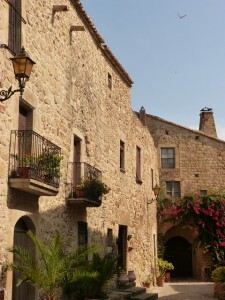 The Empordà is full of charming towns and villages. Do not miss, in the Baix Emporda, the towns of Pals, Begur, Peratallada, Vulpellac, Fonteta, Ullastret, Monells, Cruïlles, Rupià, Foixà, Calella de Palafrugell, Púbol and La Pera, Palau-Sator, and many more like the Bisbal, Palamós, Torroella de Montgrí. In the Alt Emporda are a must Cadaqués, Port Lligat, El Port de la Selva, Castelló d’Empúries, Peralada, among others, such as Roses, Torroella de Fluvià, Selva de Mar, Llançà, Garriguella, etc. 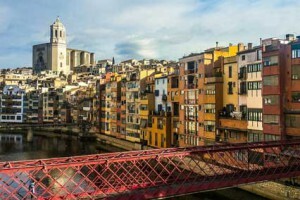 Girona is the capital of the province. It’s a small town, but it has nothing to envy the big. You can stroll through the streets of the historic centre, visit museums, the cathedral, St. Pere de Galligants ,the Arab Baths, the Jewish Quarter, the Basilica of Sant Feliu, the Walls, the Wine Square, or the houses of the Onyar . It is a city that can be visited several times a year, because every time we live it in a different way. Do not miss Girona, Temps de Flors in May, or the Fair of Sant Narcís in October. Figueres is the capital of the Alt Emporda. 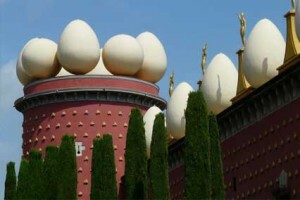 The Dalí Theatre-Museum is a must. 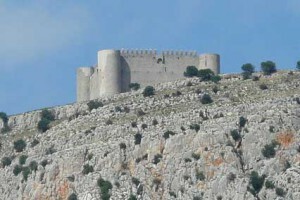 Also interesting is a visit to the Castle of Sant Ferran, and the International Circus Festival in late February. Since July 2012, Figueres it’s tourist city and so many shops can also open on Sundays and holidays from Palm Sunday until 31 December. Montgrí, Medes Islands and Baix Ter Natural Park. 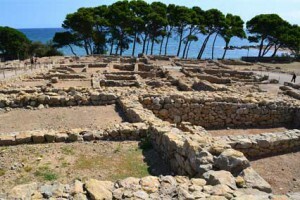 We recommend you, visiting Can Quintana- Mediterranean Museum, home of the Natural Park Interpretive Centre. The Park consists of a unique scenery: cliffs and seabed of high ecological value, a mountain and wetlands that form the mouth of the River Ter. Located in the Bay of Roses, in the Alt Emporda. One of the natural areas of Catalonia, where we notice a greater variety of animal species. More than 300 varieties of species of birds, wetlands are their refuge and resting place. 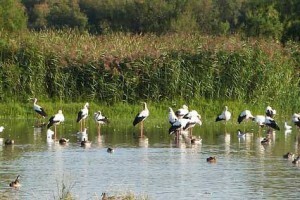 The protected area of the Basses d’en Coll consists of rice paddies, wetlands of Baix Ter and dunes. It is the first maritime-terrestrial park in Catalonia, located in the Alt Emporda. It was created to protect the Cap de Creus peninsula and its marine environment. On the Costa Brava and the Empordà, there are plenty of activities to get distracted, have fun, relax … There is something for everyone! Here is a non-exhaustive list of land activities that you can do near Can Pericot. Here you can download some brochures such as Beaches and Paths of Empordà Region, or On foot around the Baix Empordà. You can also go on a daytrip to the Castle of Montgrí. In the house you will find directions on how to get there. It is worth going there to enjoy the wonderful views of the Empordà plain, the Medes Islands, all Montgrí Massif, l’Escala, the Bay of Roses to the Cap de Creus. Awesome! There are plenty of ways to make cycling. Here you can download the brochure Cycletouring in the Baix Empordà. Just 8 km from Can Pericot you can find Equus Emporda, Equus Empordà, in Albons, where you can enjoy horse rides or carriage rides. Balloon Flights. Bird’s eye view of the Empordà. Enjoy the fantastic landscape of the Empordà from the air with Globus Empordà . Unrepeatable! Here is a list of museums in the province of Girona, classified by topic. But there are many more. During the high season, at the roundabout of Ulla, you can find a road store with the fruit and vegetables from nearby fields of Can Pericot. It’s excellent.